31 courses and activities are being offered in 2016. To find out more about a particular group, click on Groups on the menu at the top of the page. There are no prerequisites or exams! Our monthly newsletter will be posted or emailed early each month in 2016. This home page, the group pages, timetable of events and monthly calendar are updated at this time. The newsletter deadline is the 4th Monday of the month. The next deadline is Monday August 22nd at midday. 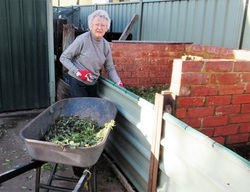 ​Email items to Freida fmandrews46@gmail.com or deliver to Bev 61 Monds Avenue, Benalla. 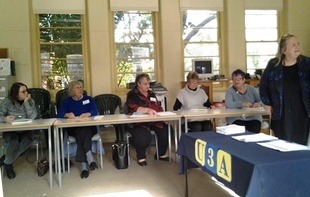 ​​Our recent Convenors ’ meeting provided the opportunity to discuss future plans; to distribute the U3A Tutors’ Handbook and our Convenors’ A-Z; to share stories about the strengths of our groups and to discuss problems faced when numbers fall. Nearly all convenors spoke with great warmth about their groups, however two groups have experienced falling numbers and a third appears to be re-building. It is hard on tutors who put in effort preparing material if class members don’t turn up. It is better to let us know if you are going to be absent for a while or that you are going to drop out of a class. Please don’t leave us guessing as to your well-being or whereabouts. I want to thank Mike Larkin who has run Comparative Religion for the past year and a half for his efforts. Unfortunately the course will soon cease. Elspeth Maconachie’s Brain Games is under similar pressure. Most of our courses are, however, doing well despite the winter weather and the failure of one of our heaters/air conditioner. Both units are to be serviced to make W4 more hospi-table. Enjoy the rest of your winter courses! Friends of Benalla Art Gallery to Sept 2nd. A large contingent recently gathered at the Moorngag Cemetery to farewell Jan and support her family. Jan was a pharmacist, initially one of the few women qualified for such work. An ex colleague spoke of her professionalism and how pleasant it was to work with her. Jan enjoyed volunteering in a number of organizations and will be missed by her many friends. James certainly has our sympathy and support. I was recently informed that Denzil Mortimer had died. Denzil was mentioned at the July Meet & Mingle when a 50s news reel featured his onetime doubles partner. He was a talented player, known to many of you as a Science Teacher at the High School and more recently as our Music Appreciation tutor.